Product #21185 | SKU 042905 | 0.0 (no ratings yet) Thanks for your rating! The Rycote InVision Video Shockmount incorporates Rycote's patented Lyre suspension technology in a shockmount that mounts onto camera accessory shoes. The InVision Video features two "W" shaped lyres and a 360° swivel base with a brass shoe mount. 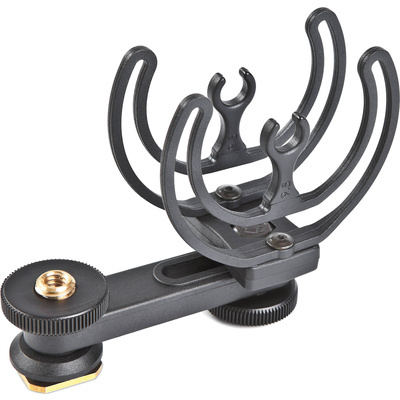 A durable clamp holds the microphones in place, and rests on the suspension lyres for maximum suppression against noise caused by movement, shock, mechanical noise and more.